Take a trip down to the livestock area to see some of the cutest and furriest animals – the rabbits. 4-H rabbits can be found in the Sheep & Poultry barns the first four days of the fair. 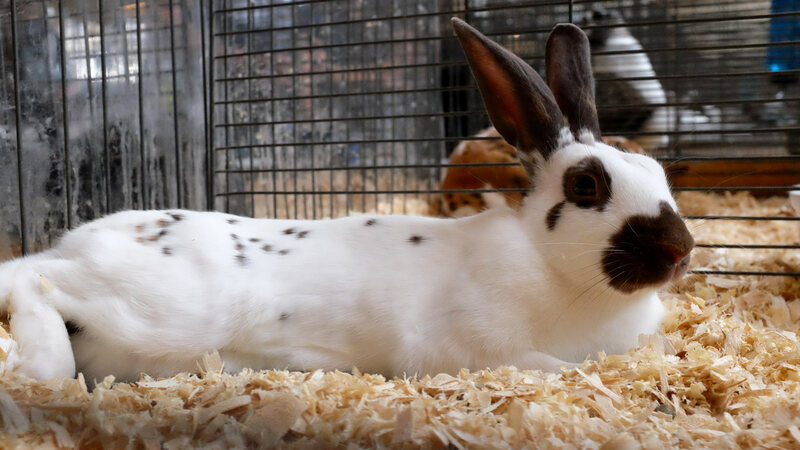 To see a sampling of various breeds of rabbits, check out the Hop, Flop & Sniff Rabbit Display in the Poultry Barn the middle four days of the fair. Open class rabbits are back in the Poultry Barn the last four days of the fair. Be sure to check out the daily schedules for exact hours of where and when to find rabbits during the fair, including judging.